← Oregon Glass Guild Showcase This Weekend! 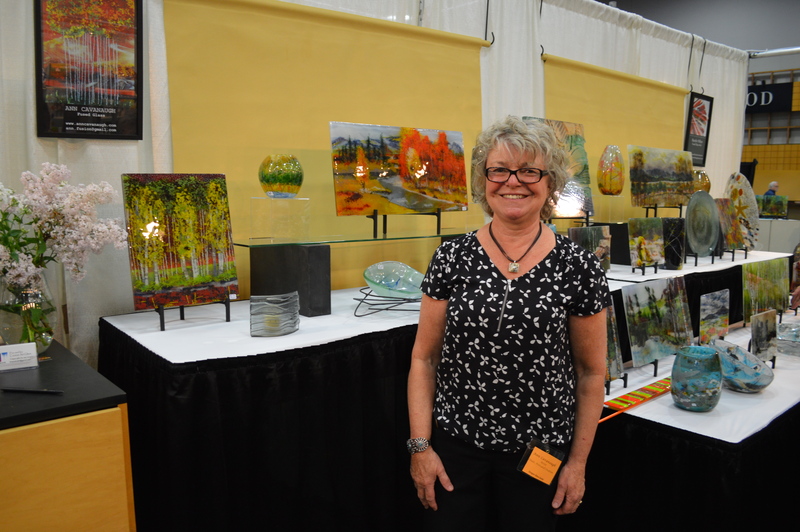 A big thank you to all of the visitors to this year’s Oregon Glass Guild Show and Gathering of the Guilds! Ann had fun meeting and talking with so many people at last weekend’s show. She is proud and grateful to once again take home the Oregon Glass Guild’s Best in Show award as well as the People’s Choice award, so an extra special thanks to those of you who voted for her piece! This entry was posted in Art Shows and tagged awards, events. Bookmark the permalink. 1 Response to Great Oregon Glass Guild Show!